Morning Runners Unite! This Evening! What is it about those fleeting minutes of sleep that make the difference between getting in a solid run and staying in bed? They literally always get me. The alarm goes off and, even when I’m at the point at which I absolutely NEED to get up, I still would rather stay in bed. 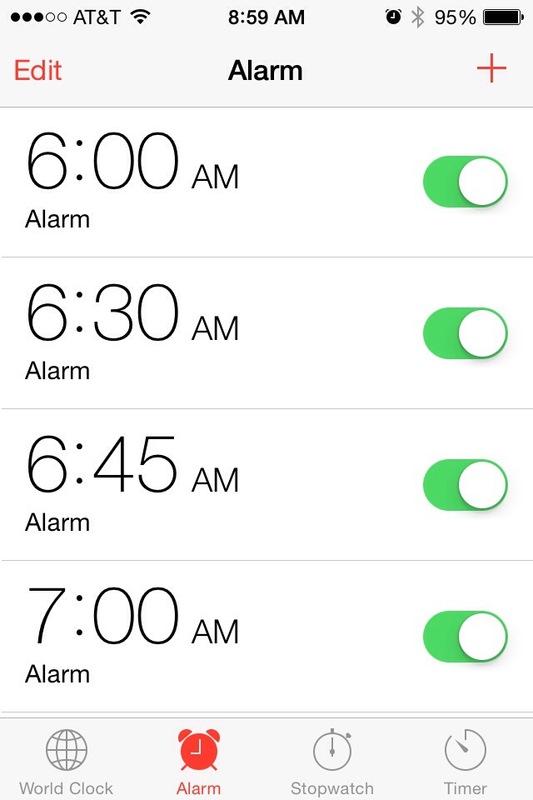 Some might think I’m lazy, but really, mornings are not my thing. For those who know me best, I am a notorious night owl. If I could stay up until the wee hours, I would. I have been an evening runner for as long as I can remember. I’m at my best at 5PM when I can instantly put a long day of work behind me with a hard run during which I can be alone with my thoughts. Running in the evenings has been my great divide between work and life. Tacking a run onto the end of my day puts something between my day at the office and the four hours I have to myself before I crawl into bed for the night. If I run in the mornings, it feels like my day just got longer and I carry my problems at work home with me to mull over when it’s time to go home. Even with all of the reasons why I prefer an evening run, I still admit that it’s time to try waking up early in the mornings to get my run in before work. I admit that starting fresh every morning and seeing the world after it’s been cloaked in darkness for 12 hours is appealing. Morning light is lovely. The coffee tastes better in the mornings. And now that summer is coming, waking up early to run is key, especially since the majority of those running tough fall marathons (Chicago 2014!) will have to slog out our toughest and most challenging runs in the early morning hours to avoid the oppressive heat and humidity of June, July, and August. I’m reminded of that as the days are getting longer and my trails are baking in the heat that lasts for hours past dusk. Feeling the blazing sun on your run-induced hot face is probably as close to my understanding of what the surface of Mercury feels like as I will ever get. Plus, I scroll through my Instagram list every morning and see more morning run pictures than I do evening run pictures, so I admit that I do feel left out of a major part of the running community– even if all of those runners would encourage me to try morning running but ultimately advise me to keep doing what works best for me, because running is hard enough already. Now, there have been times when waking up early to run has been really wonderful and a major perk to my day. When I lived in Washington, DC, I would sometimes stumble all the way up to Capitol Hill to work out in the Senate gym and then go right up to my desk. Sometimes I would go for a morning run on the National Mall and see lawmakers out for a run when the mall was least crowded with tourists. I had 45 minutes on the Metro to hydrate with water (water is a natural element, so I don’t consider it part of WMATA’s strict ‘no food or beverage’ rule). By the time I got to Capitol Hill, I was fully awake. And it was a great way to network. When I lived in DC and had a gym that had early morning Body Pump or yoga classes, I loved going to those classes because I loved my gym and it made me really happy to go. My gym in Nebraska is fine, but I don’t feel that same attachment to it (even though it does have a pool and my old gym didn’t). I believe strongly in a mind-body connection to exercise, and something has to be right about my workout circumstances, even if nothing motivates me to work out except for the open-air, naturally lit environment that was the gym I belonged to in DC or the novelty of swimming laps from not having access to a lap pool. So yeah, waking up early is tough for me because I am not a morning person. As much as I hate to admit it, I do think I need to get into the habit of getting my runs done early. On the weekends, when I had to run long distances of 10+ miles, waiting until mid-afternoon when the winter temps reached their highest peaks presented ample opportunity to talk myself out of going at all. It was dangerous, especially because no one likes the idea of getting out in sub-zero temps to train (no spring marathons for me— I can’t handle running in bitter, ice cold temps anymore). And waiting until the evening to run in the summer time hampers your availability to do anything else. 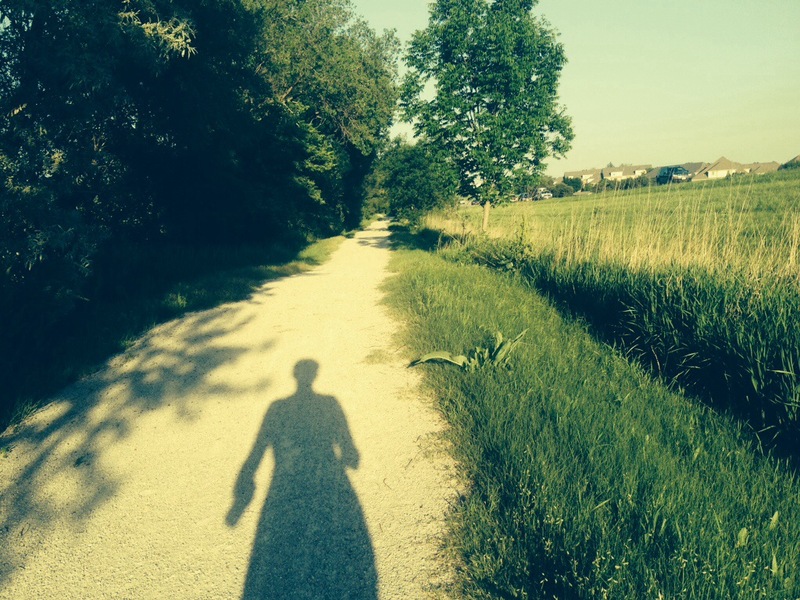 So, my goal for this summer– since my overall goal for Chicago will be to push myself out of my comfort zone– is to try as hard as I can to wake up early to run, even if it is just once a week. And even though, as someone without a family to care for or any other obligations, I have the freedom to run whenever I damn well please, I am hopeful that someday that won’t be the case and I will have to wake up early if I want to get my run in for the day. It’d be nice to know if I even like it when that day comes. 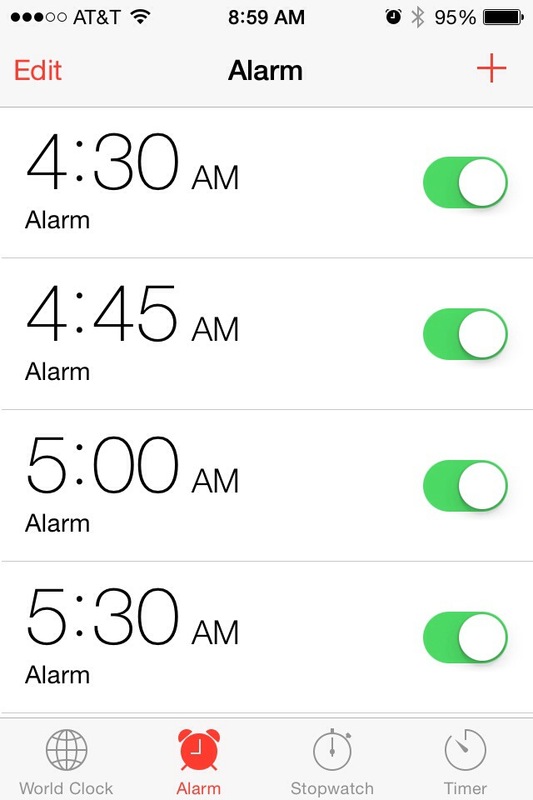 This is my alarm clock schedule. Isn’t it ridiculous? I think it’s worth trying morning running to see if you like it. 🙂 And never underestimate the power of a little coffee!